We are a home cleaning service provider in Chicago that provides a natural and green cleaning services by using an organic product and doesnâ€™t contain any chemicals that could be harmful to the environment and to the human health. There are lots of cleaning services company here and there, but finding someone whoâ€™s dedicated in â€˜going greenâ€™ is difficult. We are different from the others because we carefully choose the cleaning products that we are using. Getting a perfect combination using a natural cleaning product is what makes us unique and the best in cleaning service industry. Aside from that, Always Green is versatile enough to provide everything that you need to get your home clean and pristine. We do basic house cleaning, deep cleaning, heavy-duty cleaning and washing of windows - interiors and exteriors. To keep your home squeaky clean and spotless, we hire professional staffs that are well-trained and equipped with right knowledge. All our cleaners went through a rigorous hiring process with an extreme background check. Always Green also invested in giving them a top-notch training to meet the high demands or exceed our clientâ€™s expectations. Green cleaning is one way to a more eco-friendly lifestyle and a healthier community. Make a commitment to go green today with the help of Always Green Cleaning Services in Chicago. Call us now to set up an appointment, or use the contact form at the bottom of this page to inquire whether our services are right for you. Method products are powerful, planet-friendly cleaning products that handle big messes beautifully. All their products are thoughtfully created inside and out. It will kill all the germs in your house and replace it with fragrant scent. How relaxing will it be going into a home thatâ€™s clean and fresh? Mrs. Meyers Clean Day household products care for your family and your home. All products are made with plant-derived ingredients, essential oils, and other carefully chosen ingredients. These products will surely make your home fresh and fragrant. Your feedback matters to us. We use these to gauge where we currently are, and to evaluate as well on what we could do to improve even more. We are continuously improving, and we have been successfully developing new processes that lets us provide a seamless, convenient, and excellent experience. A lot of factors has to be considered when hiring a professional cleaning services in Chicago. Remember, that you are hiring a cleaning service because you need help, and it would be best if you could get the help of an expert on all your cleaning needs. People tend to be busy with other important things, that oftentimes, we make quick decisions that we will later regret. Not choosing the right cleaning partner could lead to a bigger problem in the neat future. How would you know if you are hiring the correct house cleaning services? Our company have listed some of the many reasons why we are the preferred and most-trusted green cleaning services in Chicago. Have you ever spent almost all of your free time cleaning the whole house, but it still does not seem right? Thatâ€™s when you knew you need an expert to help you out. Simple household chores could be easy at times, but when you want a thoroughly clean and spotless home, it would need extra time and effort from you, most especially if you are not used to doing it in a regular basis. By hiring our cleaning services, you can expect that we will send an expert and professional to finish the cleaning effectively and efficiently. All our workers are trained and went through proper certifications to ensure that they can work and finish a high quality cleaning service on a minimum amount of time. 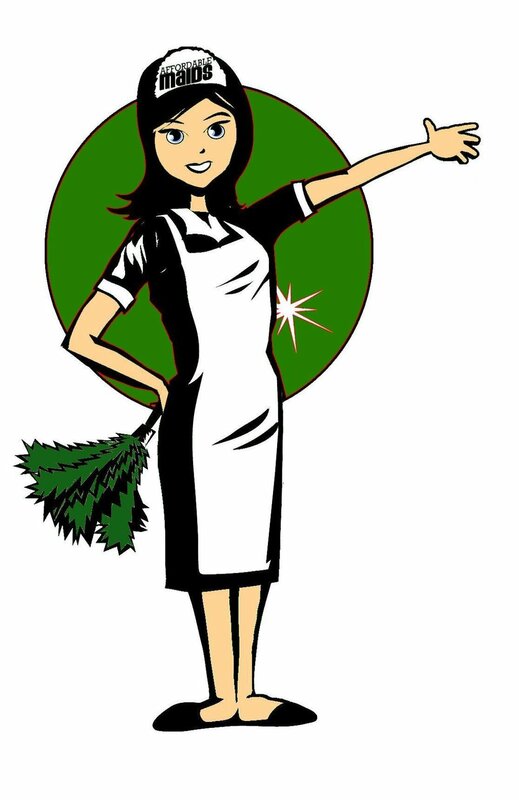 As a cleaning company that supports green cleaning, we only use green cleaning supplies on all our cleaning services. This is to eliminate the strong and harmful chemicals that are usually found in normal house cleaning solutions. This is also to reduce and lessen the waste. 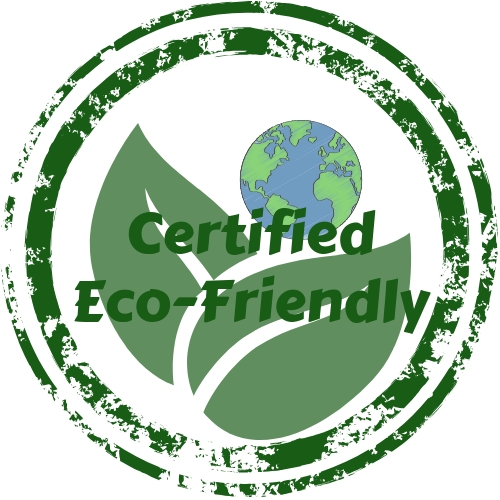 By using green cleaning supplies, we are not just protecting the environment, we are also creating a safe and healthy environment for our whole family and the community. We are an advocate of a go green community, and we aim to make the whole city of Chicago clean and green. You can also start living a more sustainable lifestyle, through small but promising steps, liking choosing and patronizing green products , and green services. Always Green Cleaning Services Chicago launched a program to help each household in maintaining the cleanliness, and the happiness, of your home. This is what we called the â€˜Recurring Cleaning Services Program.â€™ By signing up to this program, you are asking for the companyâ€™s commitment of taking care of your home. These program is beneficial, especially to busy households. Some of the advantages of subscribing to the recurring cleaning services program are: a. Save time in booking, b. Maintain the aesthetics of your home, c. Have a cleaner in your home in a regular basis, d. Great savings in the long run. We got the best customer support team in the city. You can expect warmth and welcoming associates, and everyone is knowledgeable and skilled enough to help and assist you on your cleaning needs. We are in the business for a long time now, and we were able to build a good reputation of keeping our customers happy and satisfied. Want to test how approachable we are? Call our hotline now, or send us a message through SMS, web chat, or email us at alwaysgreen.chicago@gmail.com to be able to have a firsthand experience of an amazing customer relations. Going home to a clean and tidy place after a long and tiring day would be one the most relaxing privileges that all of us deserves. We spent most of our time doing things that really matter that sometimes, thereâ€™s no time left for maintaining the place that shelters us, our home. And maintaining your home is more than just the basic cleaning on a daily basis. It also includes regular inspection and regular cleaning of the whole house to make sure that you keep the excellent condition of your home. Some tasks that you must regularly do are washing of walls, checking and cleaning of ventilation, window washing - interiors and exteriors, etc. Thatâ€™s where Always Green comes in! Our mission is to maintain and keep your home clean, and free from dusts and germs that could harm you and your familyâ€™s health. Our main goal is to make your home the best place to live in. We want you to always look forward in going home by making sure that your home is pristine and ultra-clean. Standard cleaning takes into account activities that are regularly done in order to maintain the level of cleanliness at home. It often covers thing like: hoovering and mopping the floors, cleaning bathrooms - sink, mirror, bath and toilet, tidying up, cleaning the kitchen - wiping down work surfaces, cupboard doors, hob, etc. It also includes basic dusting and wiping. All bedrooms, dining area, living room and other common areas in the house will also be taken cared of. Bathroom and kitchen areas are the two most important parts of the house that needs extra attention when it comes to cleaning. Keeping those two areas clean is vital to ensuring familyâ€™s health and well-being. Different types of bacteria could thrive and multiply fast in kitchen and bathroom areas, and it could be a place where your family member might get diseases, if those areas mentioned are not taken cared of properly. Deep cleaning is an extra service that you can take advantage of when booking with Always Green. This will include a more thorough scrubbing in the bathroom and kitchen areas. That way, our staff would able to clean it more, with a promise that they would do their best to leave those areas clean and spotless. Just the thought of moving in or moving out could give you a mind blowing stress. Thereâ€™s just too much to do and to take care of. One of those things would be cleaning the house. And thatâ€™s why weâ€™re here! To help lessen your burden, you can hire our service to do the cleaning for you. If you are moving in to a new home, you want to make sure that everything is clean and in good condition. This is to give you peace of mind and of course, to ensure the well-being of your whole family as well. If you are moving out, Iâ€™m sure you donâ€™t want to leave the house a mess for the next tenant. If you are a landlord, this could also be a good option for you so you wonâ€™t have to do the cleaning of your vacant unit. Well, we never know. Someone might just check your unit, and its cleanliness and maintenance could make or break the deal. Moving in/out cleaning service requires an empty house/apartment. This is for the cleaner to be able to clean the whole area thoroughly. This would also require you to add extra services like deep cleaning of the kitchen and bathroom areas, cleaning the inside of a fridge and an oven, cleaning the inside of cabinets and closets, cleaning the windows, and other things that may be necessary in transforming the house into its best and immaculate condition. For both services, it is recommended to have a general cleaning of the whole house. Examples of extra tasks that you can include are: deep cleaning, heavy-duty cleaning, cleaning the inside of fridge, inside of oven, inside kitchen cabinets and drawers, and inside closets. We can also wash walls, clean doors, door jambs and door knobs, clean blinds, and wash windows - interiors and exteriors. Should you need assistance on choosing the best and most applicable extras for you, please do not hesitate to call us at (872) 356 016. Looking at the illustration beside, can you imagine how much time you will save with our recurring cleaning plan? We want you to make the most of your day, and we know that booking an appointment for a cleaning service could be time-consuming for hardworking people like you. We realize how busy you are with your everyday life, so weâ€™d like to help you by making the booking easier and faster for you! You can book for a weekly, bi-weekly, or monthly recurring cleaning service plan with us. By doing that, just set it once, then youâ€™ll be all good to go! No need to spend time booking for another appointment, because weâ€™ll do that for you. That way, youâ€™ll have more time for more important things. You wonâ€™t have to worry about your cleaning service every time anymore. Weâ€™ll just send you a reminder, and leave it all to us. Subscribe to our recurring service plan, then just sit back, relax, and enjoy a clean home all the time! Use the form below to contact us regarding your inquiry. An advocate will get back to you in the soonest time possible. Alternatively, you can also email or call us. For instant pricing/quotation, click here. Please include the best time that we can reach you. The first, yet an important phase, where your cooperation is highly needed. You realize you need a home cleaning service, and you decided to hire Always Green Cleaning Services. We appreciate the trust that you have given us, and congratulations because you have made a great decision of choosing a green cleaning services provider. Reserving a slot has never been this easy. You can either go online and instantly book an appointment, or you can call our hotline number at (872) 356 0166 to get assistance from our customer care team. This is the phase of the process where we want you to relax, and let our professional cleaners handle the dirt and germs for you. The second step is about us doing what we love to do - cleaning the house for you! We kindly ask for your patience, as we do not want to rush the work, and compromise the quality of the result. As what the saying goes: Good things come to those who wait. Well, you do not literally have to wait, you can do other important matters while we clean the house, of course! This is the moment that we have been waiting for. You have worked hard for this, and no one else deserves a spotless and clean home more than you do. The third phase is all about you enjoying your newly cleaned home, and relaxing on a comfy space whenever you feel like doing so. So, what are you waiting for? Three simple, and easy steps for a sparkling home like you never had before! Booking an appointment with Always Green Cleaning Services Chicago is a piece of cake. All you need is your phone, and you should be good to go. You can simply click the â€˜Book Nowâ€™ button below, and you will be redirected to a page where you can instantly book an appointment. Alternatively, if you want an assistance from one of our friendly associates, kindly dial this number (872) 356 0166, and we would be as excited as you are in talking to you and assisting you in booking a house cleaning services with us. When should I book for an appointment? You can do so anytime, as long as you have the time. Although, most of our days are getting filled up fast, that is why it is still ideal to book a service a week in advance. You can reach out to us to check for our availability, like if you prefer a Same Day Cleaning Services. We support a cashless payment system. Upon booking, you will be asked for your credit card details to secure and guarantee the booking. It is the same bank details that will be later used for the payment of the service. Please expect that the amount of the service will be places in a temporary hold few days before the service, but the final charge will only happen right after the cleaning services has been rendered. Can I customize the cleaning services? 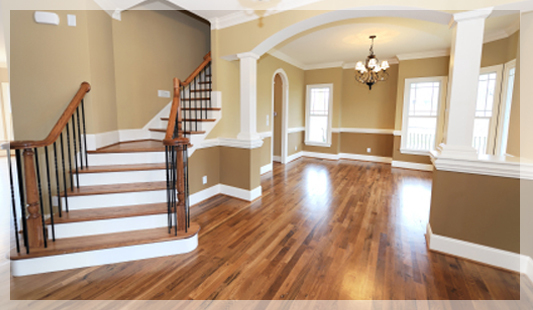 We offer flat rate services depending on the area that needs to be cleaned. But of course, our company is flexible when it comes to the cleaning services that we offer, and we are providing you with options to customize it based on your cleaning needs. We have prepared list of different house cleaning tasks that you can add to your service order to achieve a completely clean and tidy space. These extra services can be added on the booking phase, or during the service itself. As professionals and experts, we may also advise you with necessary changes on your service order, but it is still up to you if you would approve the change or not. How long does the cleaning last? It depends on different factors like the size of the house, the condition of the house, the type of cleaning services you order, and many other things that may affect the time needed to clean your home. On average, a standard or regular cleaning services usually takes 2-3 hours to finish, and if there are extra services like deep cleaning, it could add at least 1 hour to the work, depending on how many tasks were added to the order. How many maids do you usually send? As a professional maid services in Chicago, we only send one maid per job. This is to encourage ownership on our employees, and also to ensure that the job provided to them is being assigned based on their capability as well. You do not have to worry though, because all of them are experienced and knowledgeable, it is just that our cleaners also have preferences of their own. We do this to be able to keep not just our clients happy, but also our employees. For any queries or concerns not tackled above, please do not hesitate to call us at (872) 356 0166, or send us an email at alwaysgreen.chicago@gmail.com. We can not wait to talk to you soon! Our awesome maids are waiting to meet you in the near future. Book any of our cleaning services now, and prepare to be amazed by how clean and dazzling your house could get! You have been working so hard to stay in a not-so-clean house. Today is the best time to hire Always Green Cleaning Services Chicago. Thank you!